Ready for Chokolaate Centrestage 2018? Do you wake up every morning with a song in your heart that you end up belting out in the shower? Do the things that come out of your mouth sound like gibberish to everyone listening but make perfect sense to you? 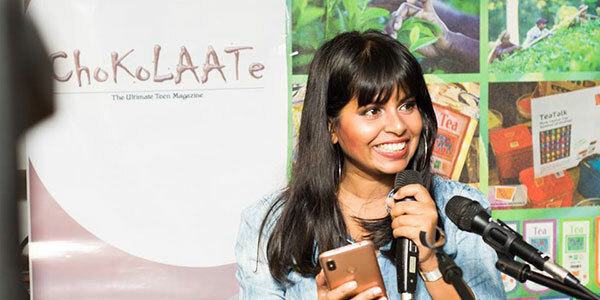 If you identify with the above, then Sri Lanka’s premier teen magazine Chokolaate is giving you a stage and spotlight to shine. Chokolaate Centrestage 2018 returns for the third consecutive year on 26 October at the Bishop’s College auditorium. Auditions in the solo singing, group singing, band, rapping and beat boxing categories will be held on 29 September 2018. Those between the ages of 13-21 are encouraged to visit the Chokolaate Facebook page for details on the application process and deadlines. Established in 2006, the Chokolaate Magazine has come a long way over the last few decades. The main objective behind the launch of the magazine at the time was to create a platform that highlights the talents of the younger generation and also provide more opportunities where teenagers from all over the country are allowed to showcase their blossoming talents. Centrestage is its second endeavour after the immensely successful Chokolaate Mother Daughter Fashion Designer Contest that concluded for the 9th time this year. This year, hoping to further reach the youth of the nation, Chokolaate will host a series of Open Mic performances for singers, rappers, stand-up comedians and poets. The first event was held on 21 August at Tea Talk and saw an array of fresh new talent being unveiled, setting the stage for applications for the upcoming talent show. Centerstage applications are available on the website www.chokolaate.net and close on 25 September. Auditions will take place on 29 September at Cult Studios from 9am onwards. Call Shamindri on 0775 021166 to register and for more information. Coffee Rooms is a versatile café spot located in Rajagiriya, a dedicated work space and lounge area, complete with a bevy of interesting coffee and meal options to keep you going.